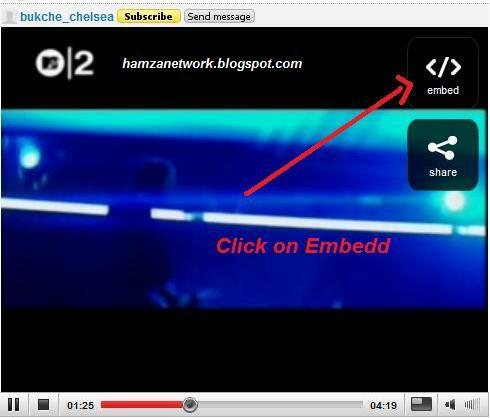 Today, i will tell you how to Embedd any video(Mega video, 4Shared, Youtube) in Blogger. We Embedd youtube videos easily in blog but we face problems in embedding Megavideos,4shared videos etc. 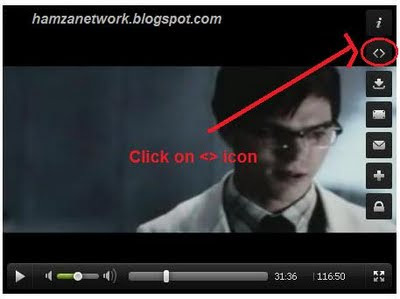 Today you will perfectly learn how to embedd this type of videos in Blog or Website. Every video has Embedd code placed on around video. 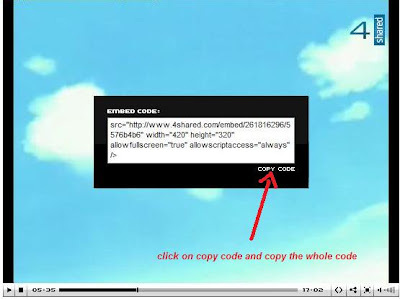 Now i will tell you how to find embedd code of videos and embedd videos in your Blog or Website. This is helpfull tutorial for all my visitors. Below are some important steps to do that. 1. Play your Youtube video. 3. Click on Embedd button. 5. After copying the whole code, go to your Blogger post and click Edit HTML and paste the whole code where you wish to place your video. Now you have done. 2.Click on < > Embedd icon placed on right top of video. 3. You will see a Embedd code of this video. Copy the whole code. 4. After copying the whole code, go to Blogger--->New post--->Edit HTML and paste your Embedd code where you wish to place your video. 5. You can change height and width of your Megavideo. Whereabouts you paste your Embedd code find height and width in your code and change them according to your wish. You will see 2 heights and 2 widths in Embedd code. Change the both height with same value and both width with same value otherwise no changes will appear(See the picture below), Now you have done. 1. Play your 4Shared video. 2. Click on < > Embedd icon placed on bottom right or top right of video. 4. After copying the whole code, go to Blogger--->New post--->Edit HTML and paste your Embedd code where you wish to place your video.Now you have done. 5. You can change height and width of your 4Shared video. Whereabouts you paste your Embedd code find height and width in your code and change them according to your wish. You will see 2 heights and 2 widths in Embedd code. Change the both height with same value and both width with same value otherwise no changes will appear. Now you have done. 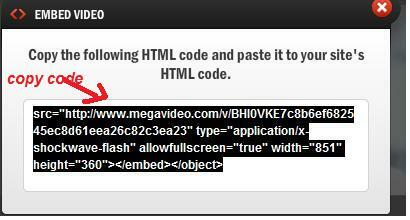 Last thing i want to tell you that Embedd code of every video you are watching placed around or near the video. So find that code and enjoy Blogging and Embedding. If you have any problem about this topic then comment me below.